1 plays pass + set with 2. 1 then plays to 3 who sets for 2. 2 plays to 4who sets for 3. 4 starts cycle again. 5 v 5 in middle. 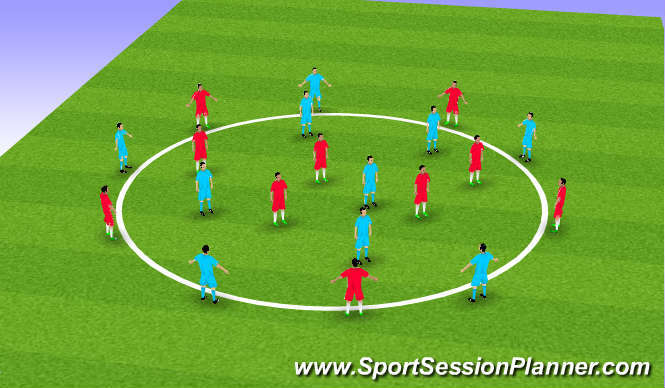 10 players outside possesion game quick play using outside players. 10 v 10 positional awareness as an individual/unit & team both defensively & offensively. when/where, how to press. creating overloads all over the pitch. 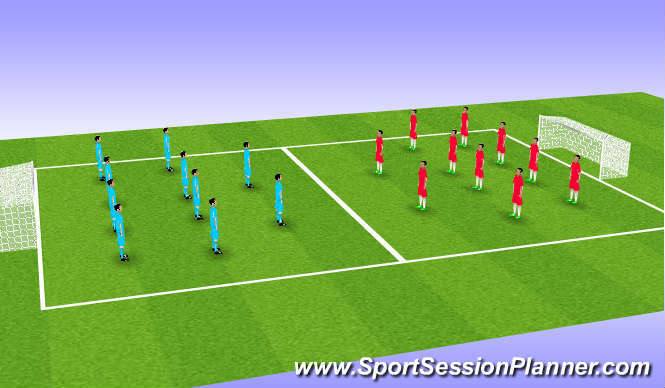 Reciving skills.Passing skills, using various surfaces. Positional awareness as an individual/unit & team. Decision making i.e. when to press when to drop. Low intensity, lots of walking through different situations. Confidence in everything they do i.e. communication decisions, on the ball etc. having a real & thorough understanding of what you do & why yyou do it breeds confidence. both teams improved as session went on listened well & put into practice what was shown & talked about.